I recently finished reading the full-length biography of cartoonist Charles Schulz, creator of Peanuts. Below is a review of the biography, as well as the first volume of a projected reprinting of the strip in its entirety. 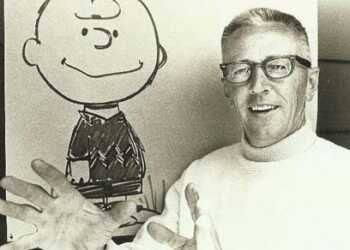 When Schulz, the recent biography of cartoonist Charles Schulz by David Michaelis, was released in 2007, members of the family were reportedly upset by the portrait of the famed Peanuts creator. As I read it, I certainly could understand why. Schulz came from conservative German and Scandanavian stock who had settled in Minnesota, a region famed for its reserve and reticence. No doubt seeing the family's dirty laundry with past hurts, judgments and resentments aired for all to see must have been quite a upsetting. The main complaints, however, focused on the book's portrayal of Schulz as dark, melancholy and often emotionally distant at the expense of his legacy and their happy memories of him. Schulz clearly is an attempt to construct a psychological portrait of the cartoonist. In this regard, Michaelis has done his homework, drawing extensively from the unfettered direct access he had to family, friends and the artist's private papers, as well as to archived interviews in print and on film, and, of course, the artist's legacy of work. Throughout the book, Michaelis tries to draw a direct connection between the cartoonist's personal life and private turmoils, and show how it was reflected in his work. While there's always a danger of overreaching in such an approach (and Michaelis perhaps does so occasionally), Michaelis convincingly portrays Schulz's inner life and how it clearly manifested in his work, often not very subtly. It's important to note that Schulz himself at various times often referred to himself as hapless, a "nobody," a "loser," etc., forever tying him in the public's eye with his strip's main character, Charlie Brown. Of course, some of this was shrewd marketing—Schulz no doubt played up the resemblance to promote the strip, by allowing readers to identify Charlie Brown as Schulz's cartoon doppelganger. In later years, Schulz would occasionally bristle at this comparison—the truth, of course, was much more complex. To a large extent, Schulz did seem to be solitary and somewhat disenfranchised well into adulthood. Sensitive and artistic, he rarely received the kind of encouragement and attention he craved from his parents who, by upbringing and culture, were reserved and not given to either verbal or physical displays of affection. Similarly, with a few exceptions, his extended family was not the type to encourage ambition or achievement beyond simply being able to provide for a wife and child; indeed, the family seemed to discourage such aspirations, lest they lead to disappointment. On top of this, Schulz's mother suffered her last few years in excruciating pain, dying from cancer, which the family tried its best to completely shield the young Schulz from despite the obvious. She died while he was away, shortly after he had joined the army during World War II, a devastating event that seemed to affect Schulz for the rest of his life, if for no other reason that he never had a chance to ever get her unconditional love and support, nor prove his worth to her. Most revealingly, much of Schulz's childhood resentments and pain seemed partly of his own making. For example, though Schulz the adult often spoke about being bullied as a child, none of his childhood friends remember that. In fact, though they acknowledge that Schulz and themselves were outsiders who were not part of the "in" crowd at school, they recall Schulz occasionally being their ringleader, of being fairly cocky in his athletic abilities (particularly hockey and baseball), and even flashes of his being a bit cruel himself. The book makes clear that Schulz was born with an innate burning ambition and a strong sense that he would make something of himself. I suspect that without any real encouragement from his parents or strong adult role models for himself—and perhaps out of guilt for his feelings of superiority—he repressed those feelings to a degree and let them stew. This combination of competitiveness and resentment (he seemed to never forget a slight), and the determination to exact "revenge" through success, drove the incredibly shy Schulz (who in later years realized his shyness was a form of narcissm and ego) to make his way to the top of the cartooning profession. To the very end, Schulz was the quintessential tortured artist—never sure of his worth, or trusting of the fame and acclaim he earned, but always supremely confident and protective of his talent and the strip he created. But in his later years he also became more comfortable in his own skin, and found in his second marriage the unconditional love and support he always had wanted. 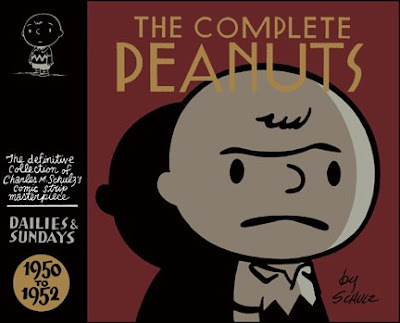 The Schulz biography also let me look at Peanuts with fresh eyes. It had been years since I last read the strip in the paper; though I never felt it had declined in quality in any discernible manner, it certainly became something that I took for granted and was so familiar, it just floated off my radar. I read it as a child and, in fact, my first memories of trying to cartoon was doing my own 4-year-old version of Peanuts (no doubt inspired both by the animated specials and the pocket paperback compilations that were so popular in the 1960s). So, of course, the beauty and poetry of the writing, matched by the simple yet perfect comic timing of the cartoons, went over my head. (Terry and the Pirates creator Milton Caniff, his eye always on what was commercial, noted on more than one occasion in his later years that if he were to start a new strip, it would be something like Peanuts.) The strip hit a nerve because it was an examination of the human condition disguised as a kid strip. Schulz's strip was truly innovative and completely changed the face of comics. This is a review of the first volume, which I picked up shortly after its release. Nevertheless, while the strip was already well formed and had a distinct voice at its founding, Schulz would not hit his stride until later. As such, in this first volume, Snoopy doesn't "talk" yet and the loud and bombastic Lucy—additions to the strip that would take the strip to new levels—are not yet in place. Perhaps most striking is the fact that Charlie Brown himself isn't yet the hapless loser that became one of the strip's hallmarks. As this first volume shows, Charlie Brown is actually quite mischievous! As mentioned above, the change would come later, primarily with the introduction of Lucy, whose strong personality became the catalyst that defined the rest of the characters of the strip. Biographies are a tricky business, and so our reactions to them. Maybe because it was written with such care and such affection for his creative output, I had no problem with buying the sad and unpleasant revelations in Donald Spoto's Alfred Hitchcock bio, "The Dark Side of Genius," even though they contradicted the vision I had had of him prior. I really think that it was that Spoto didn't seem to me to take a lot of pleasure in what he had discovered. I guess what I'm trying to say that when I look at a biography like this, I really look at the writer's attitude. Sometimes, you can sense a kind of jealousy, and sometimes -- and I think this happened a bit with the very good Billy Wilder biography, "On Sunset Boulevard," I think they just sour slightly on the subject because writing the book takes so long -- it's like a marriage gone slightly bad. Randy, I enjoyed reading your review, were you aware of the essay written by Sparky's son Monte published in the Comics Journal No 290 - May 2008? I can get a copy to you if needed. Overall, the bio of Schulz is very positive and admiring, so that's my fault if that did not come through in my review. But I think anyone familiar with the popular view of Schulz will see a side that is not part of the persona that Schulz himself helped cultivate/promote. It's clear he was ambitious and had a chip on his shoulder, which, perhaps out of guilt, he partly compensated for by being self-deprecating and portraying himself as a victim or a loser. 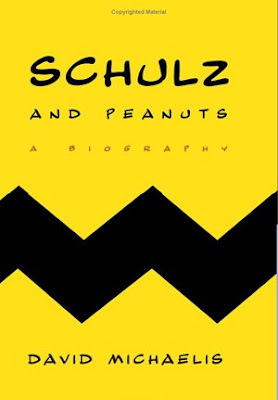 On top of that (and I don't cover this too much in my review), according to the book Schulz did have actual clinical psychological problems, including agoraphobia--something he realized (and diagnosed) later in life, and which he realized his father also had. Rob Hanes Adventures #19 is now available for purchase at our online store. Visit the web store to order this and other back issues or use the button below to purchase the latest issue now. The series is also available in digital format on COMIXOLOGY! Read Rob Hanes Adventures on iPad, Kindle and other tablets using the Comixology app. Visit WCG's Comixology landing page to see current available issues and begin downloading! 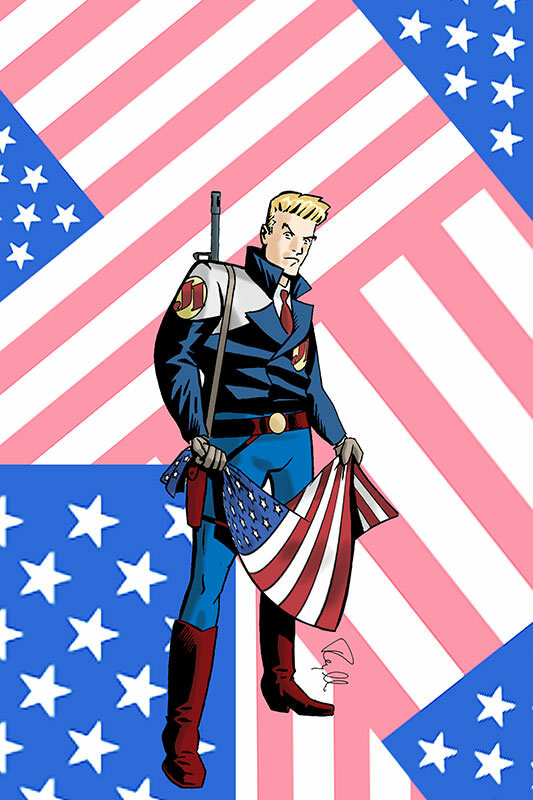 This is the official blog for Randy Reynaldo, publisher of WCG Comics and the creator-writer-artist of Rob Hanes Adventures. Visit WCG Comics for more details about the comic-book series, now also available in digital format at Comixology). Contents © 2010 by Randy Reynaldo. Powered by Blogger.